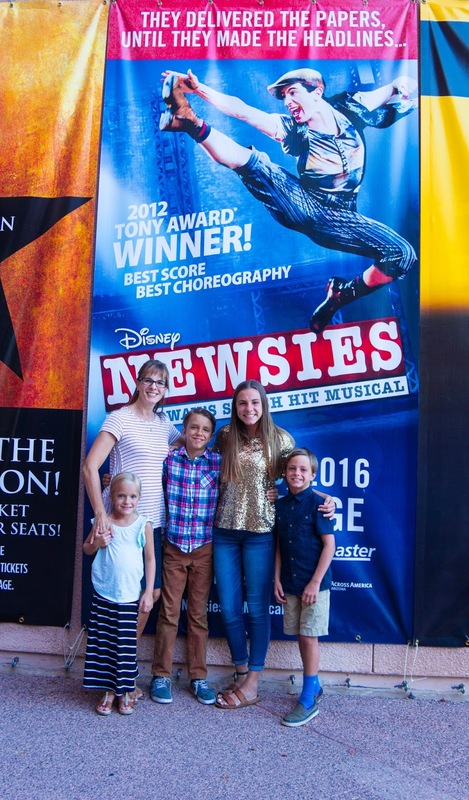 When I found out "Newsies" was coming to Gammage, I knew we needed tickets. By the time I got online, they were almost gone. That was clear back in August. That show was absolutely incredible. The set--so inventive. The music--so fun. The dancing--unbelievable. In a few places, Lily and I both gasped loudly at the stunts those young men performed. All of the kids made it through without falling asleep (surprising for Hyrum and Eve), and they loved every second of the show. I would go every single night it's in town if I could. It's that amazing. I grew up listening to musical soundtracks with my mom and watching VHS tapes of the best--West Side Story, Seven Brides, Camelot, My Fair Lady, Oklahoma, The King and I, The Music Man are all favorites. 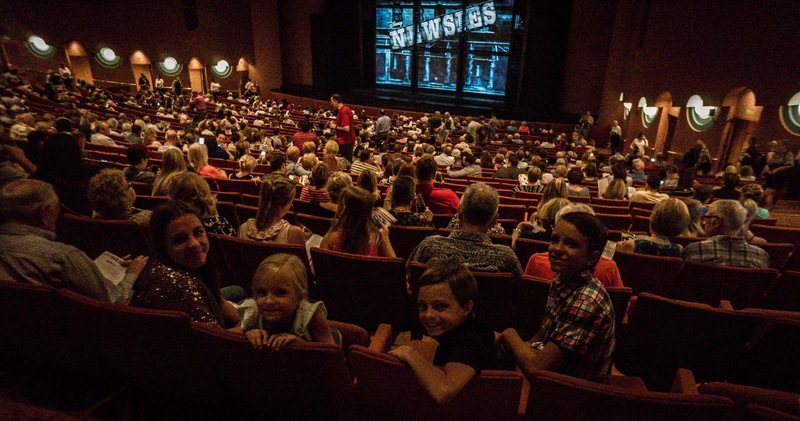 I love sharing the new generation of musical theatre with my kids. Especially when we sing "Carrying the Banner" all the way home--until Eve and Hyrum fell asleep, that is. This is one of my kids' favorites. Still.